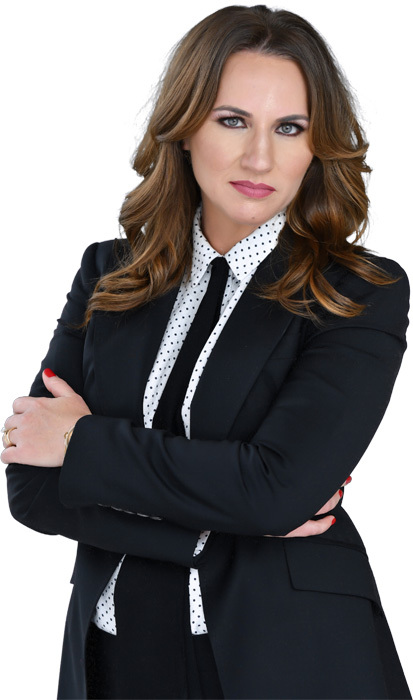 Sherry Ratay is an internationally-acclaimed, celebrity colorist, Joico commercially artistic colorist, award-winning color expert and salon owner. Sherry travels all over the country to train and educate other professionals; she has had the pleasure and opportunity to make people look and feel beautiful for the past 20+ years. 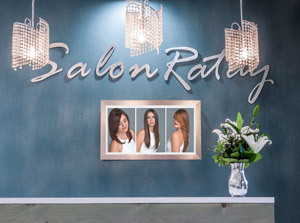 Although she owns her own luxury salon in Central Florida called Salon Ratay, she continues to intensely train with all of the major manufacturers in hair color and further her education. Sherry’s passion for education does not stop there. Along with being well versed in teaching all of the other hair color lines, Sherry has decided to dedicate her career to hair color. As a respected professional in the community, Sherry’s advice has been attributed in Vogue, Salon Today, American Salon, Modern Salon Magazine and Central Florida Lifestyle Publications. She has also been featured in Orlando Magazine, as the #1 Hair Colorists for women and men in the Central Florida area. As the Ratay brand develops, Sherry travels to Sam Brocato Salon and Studio B in New York City. Dear Sherry, per your request I am telling everyone that the information you give is extremely valuable. Your color knowledge is superior and each time we get together, even though I'm in the business 50 years, I always learn something new or and reminded of something I hadn't thought of that I learned earlier. You always demonstrate great techniques and the end results are beautiful. I always say if you're not learning something new everyday there's something wrong. All of our knowledge is useful. Always use all the tools in your toolbox not just the new ones. I really enjoyed the class I took with you. It helped me launch my career further. I felt like you genuinely were interested in whether or not I grasped the concept you were teaching. Sherry is invested in her students. She is inviting, warm and very thorough! Sherry Ratay and Stephen Wang are by far the most inspirational and cohesive educators I have ever worked with and learned from.I am a Joico Educator, Salon Owner and I would not be the stylist and colorist I am without the Skills and tools these two amazing educators helped me not only to learn but to perfect.. They are hands down the BEST OF THE BEST! I would recommend anyone who wants to elevate their career and skill set, to take as many classes as possible with Sherry and Stephen. I waited for years to take any of Sherry's classes, and was NOT disappointed when the opportunity to take it was offered. This class was so informative and completely applicable for every day use in the salons. Sherry answered every question I had pertaining to color and lightening hair. She was kind and thorough and made sure I understood what she was talking about before addressing others. Sherry stood with me and showed me techniques, so I would know how to apply them later in the salon. I look forward to taking another class, but until then I will be reviewing these lessons on her DVD or tutorials on line! Sherry is a knowledgeable, no-nonsense yet personable teacher. She answers questions without hesitation and helped me understand small details that “opened doors”. She has a great sense of humor with a clear and concise delivery. Her classes are beautifully planned and full of useful information even for the seasoned stylist. Highly recommended! Well wishes for continued success, Sherry! I have taken many classes from Sherry Ratay. She is an excellent educator and teaches in a way that is understandable and fun!! Her salon in Lake Mary, Florida is beautiful and so is she!!! It all started when I went to Sherry's first Hair Coloring class June 2, 2013 at Premier Orlando Hair Show. It was informative and a difderent approach to coloring hair. I was so inspired and wanted to learn more. So, I started to follow her on Face Book. She then offered a Color Forum Oct 28, 2013 at her salon in Lake Mary. I was so excited to go and brought a colleague of mine as well! Wow that class changed my way of hair coloring forever. I continued to watch her on her social media sites that offered mini techniques as well as q&a. Oct 28, 2017 Sherry and Wang offered a 2 day color and cutting hands on class at her Lake Mary, Fl salon. It was nothing short of top notch education. So much so half of my salon attended and we were able to use the technical education back at the salon. The last class I attended Balayage and Babylights was June 18, 2018 at her Lake Mary, Fl salon. Amazing teaching and skills I currently use in the salon daily! Again brought half of my colleagues and they too use the skills taught from that class. My next class is coming up Ratay & Wang certification Oct 28, 2018. I am so excited and looking forward to what's next to learn from these inspiring, motivating teachers. So, if you are looking for real teaching you can bring back to use daily in your salon give Sherry Ratay's teaching a try. You won't be disappointed. Thank you Sherry for keeping me inspired and building my business with you love of educating and passing it on for the past 5 years to me.